BAC test results are not always accurate, and a DUI defense lawyer like Christopher Griffin knows what to look for when assessing BAC tests’ possible inaccuracies. BAC test results are not always accurate. Proving that the test results were or could have been inaccurate can be crucial to helping get DUI charges reduced or even possibly dismissed altogether. 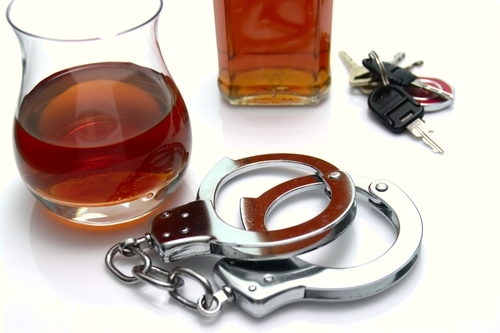 In the following and an upcoming second part of this blog, we will take a closer look at some of the specific factors that may contribute to inaccurate BAC test results and, as a result, that may be effective DUI defense arguments. The chain-of-custody of the blood samples was broken – When taking blood samples, police and others are required to follow very specific protocols to ensure that the samples are not contaminated at any point when the samples are drawn, stored and/or transported. If police or technicians handling the samples fail to follow these protocols and, consequently, “break” the chain-of-custody, then it is possible that the samples could have been contaminated and that the results of the BAC testing are, as a result, inaccurate. The lab analyzing the sample made mistakes – Lab technicians analyzing blood test results can make mistakes, and these errors can result in inaccurate BACs being reported to prosecutors. In fact, just last year, there was a huge controversy regarding the fact that the Colorado Department of Public Health had reportedly made mistakes on thousands of DUI blood samples, causing more than 800 samples to be randomly retested. Check out our upcoming Part 2 of this blog for information regarding how breath tests may report inaccurate BAC results. Facing any type of criminal charges can be both scary and stressful, as a conviction could cost you your reputation, your career, your family and even your freedom. If you or your loved one has been arrested for and/or formally charged with DUI or with any crime, Christopher Griffin wants you to know that he is ready to immediately start providing you with the strongest possible defense against police and prosecutors – both outside and inside of the courtroom.